As a dietary supplement, take 1 to 2 scoop(s) of Kraken with 8-10 oz of water. Consume 30 minutes prior to exercise. Do not exceed recommended daily intake. Not intended for use by persons under age of 18. Do not exceed recommended dose. Do not consume caffeine from other sources, including but not limited to, coffee, tea, soda, and other dietary supplements or medications containing caffeine. Do not use for more than 8 weeks continuously. Read the entire label and consult with your physician prior to use. If you are pregnant or nursing, or if you are taking medication, including but not limited to MAOI inhibitors, antidepressants, aspirin, nonsteriodal anti-inflammatory drugs or products, or other stimulants. Consult your physician prior to use if you have a medical condition, including but not limited to, heart, liver, kidney, or thyroid disease, physchiatric or epileptic disorders, difficulty urinating, diabetes, high blood pressure, cardiac arrhythmia, recurrent headaches, or gluacoma. Do not use if safety seal is broke or missing. Keep lid tightly closed and store in a cool, dry place. As with all supplements: Keep out of reach of children and animals. 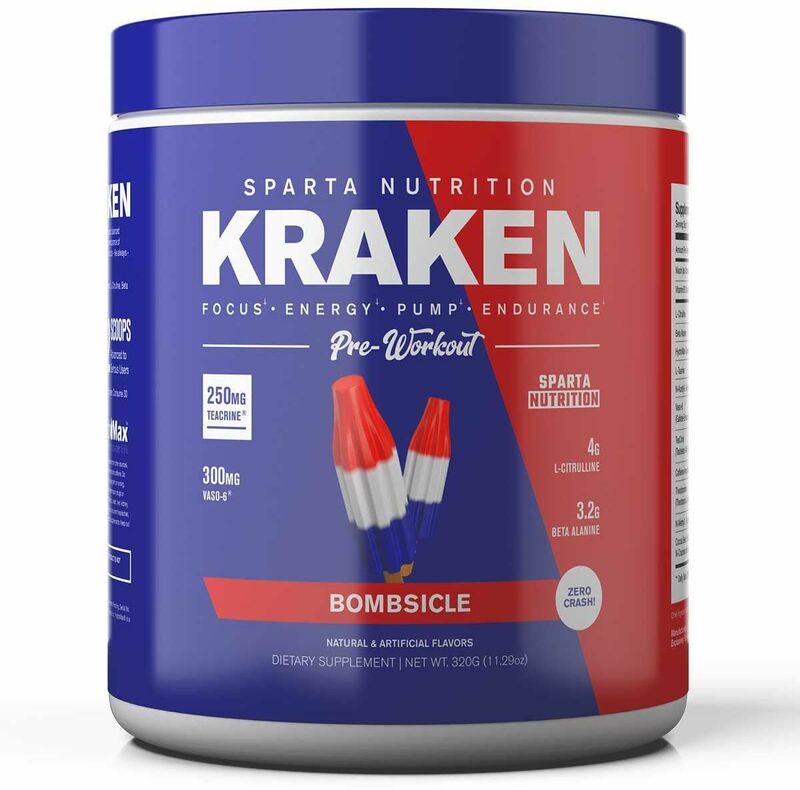 Nov 01, 2016 Sparta Nutrition KRAKEN Pre Workout: Unleash the BEAST! Kraken is a no bull supplement. We know your time is valuable and that every second you spend training needs to be fully utilized for maximum returns. 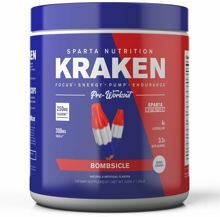 We created Kraken to deliver the world’s best pre-workout experience, bar none. With a full range of ingredients to fuel your workout and give you next-level results, Kraken will push you to new heights in your training — heights you didn't know were even possible. * And the flavors are nothing short of revolutionary. Sparta Nutrition will never settle on taste. With as much as you pay for your supplements, you should enjoy it from start to finish! Bombsicle This is a Buy 1 Get 1 FREE offer! Cola Pop This is a Buy 1 Get 1 FREE offer! Sour Gummy Bear This is a Buy 1 Get 1 FREE offer! Watermelon Candy This is a Buy 1 Get 1 FREE offer!